Canberra's country/folk couple Craig and Simone Dawson will combine forces with the Blue Mountains-based country/folk duo Pat Drummond and Karen Lynne for one spectacular night of music and storytelling at Canberra's Merry Muse. It’s sure to be a dynamic show to remember. 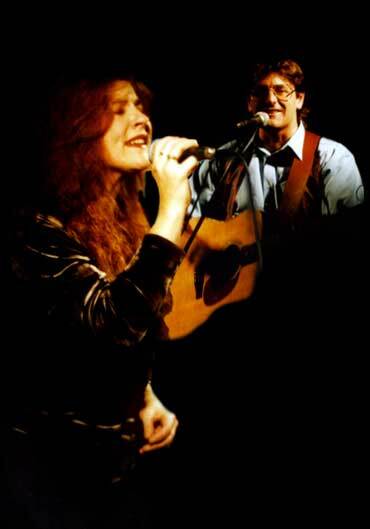 Pat Drummond and Karen Lynne first teamed up musically at about the same time as Craig and Simone in the late 1990s. Although their music and song-writing styles draw upon different influences, there are some definite similarities, particularly evident as many of their more meaningful narrative style songs are written and delivered. The presentation of their music is also mostly based on often powerful and poignant messages. Pat Drummond is based at Leura in the Blue Mountains near Sydney. Pat’s style fluctuates between song-writer and journalist. His songs are about real people and places, drawn from characters met and stories gathered on his erratic tours across Australia that present a composite picture of the country and her people. Karen Lynne, also from the Blue Mountains, is a multi award-winning vocalist involved in many musical collaborations including lead vocalist for the popular bluegrass band “Acoustic Shock”. 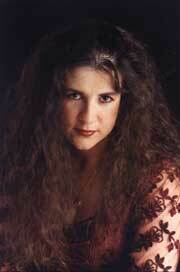 Apart from her various collaborations, Karen is a popular folk and country music singer/songwriter in her own right. Craig and Simone Dawson are no strangers to the folk music scene. Their original songs and instrumentals cover many styles that draw on a diverse range of influences including Delta blues, Ki Hoalu (Hawaiian slack key), Celtic and country. They are best known for hard-hitting ballads which explore a variety of political, social and even ludicrous topics. Following support act “Divided by 3”, Craig and Simone (with special guest Peter Logue) will begin the show with a stack of new songs and some old favourites. Pat and Karen will take the stage afterwards with songs from their long-awaited new CD "The Long Journey Home." What happens in between, after or even throughout is anybody's guess!